My sister had recently gone to see Tony Robbins – you know, the self-help guru? While a lot of the things that he talked about weren’t new to her, the thing that amazed her the most was his seemingly abundant energy. “There were 20,000 people in the audience, – she told me – and he bounced on the stage and held our attention for the entire 5 hours. He gave, and gave, and gave, and never seemed depleted. And I don’t think that he was on drugs either!” That description made me very curious, so I went on to research the secret of Tony’s energy reserves. How does he manage to stay so energetic at his ripe 58 years of age? Turns out that Tony Robbins does a 10-minute practice every morning which, along with healthy eating habits and exercise, helps him stay present and energized. He says: “I made a deal with myself: If you don’t have 10 minutes for yourself, you don’t have a life.” His morning practice includes three minutes of Kapalbhati breathing, three minutes of expressing gratitude for what he has, and three minutes of wishing good things for his family, friends and clients. This sounds like such a simple ritual, yet is seems to have a big impact on his life and work. We tend to think that for a yoga practice to be effective, it needs to be long. That way you can fit in more poses, breathe longer, go deeper. In my experience, the length of one’s yoga practice matters much less than consistency. I find it much more impactful to split an hour of yoga into four 15-minute practices over four days than just do one hour once a week. However, for those short yoga practices to be effective, they need to be specific and potent. It usually helps to plan the practice in advance, and do the same one over the period of time to truly experience the benefits. Here is what it takes to create a short potent yoga practice. When the practice is short, you do not have time to do a little bit of everything. This means that you have to be really specific about which aspect of your being you want to address. Will you focus on your body, energy or your mental state? What is more important for you right now? Be specific about what exactly you would like to accomplish. If you are not specific, you cannot evaluate the effect of the practice. Which part of the body do you want to release tension in? What kind of energy do you want to cultivate? What kind of mental state would you like to arrive at? The tools you choose will be different depending on what you are working with. For physical tension, mindful asana combined with conscious breathing works best. When you want to manage your energy, breathing practices are more important than anything else, with asana being secondary. If you are trying to facilitate a particular state of mind, meditations, visualization, chanting, ritual and prayer can be used, with asana and pranayama playing a supporting role. Next week we will get specific about designing short yoga practices for your physical, energetic and mental-emotional needs. Tune in! 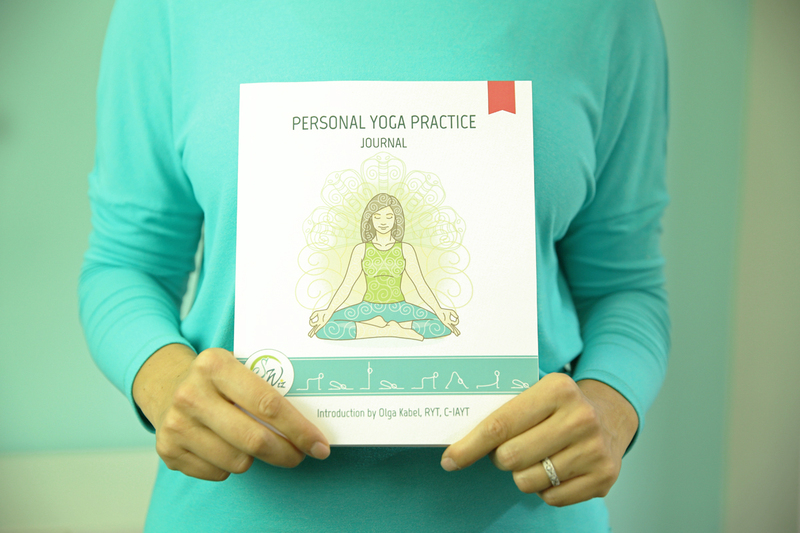 Have you seen our Personal Yoga Practice Journal? It helps you create and record your home yoga practices. You can record your practices day-to-day attending to the needs that arise, or plan for the month ahead. Thank you Olga — your post today gave me an answer I had been looking for. I continue to appreciate your posts — please keep up the great work! Thank you Megan! It’s wonderful to hear. I totally agree with the philosophy that you don’t need to spend 60 minutes on your yoga mat in order to feel good. I love practices around 10 minutes in the morning which I do every day, and around 20 minutes for my afternoon/evening practices that vary. I like your three suggestions which make the practice more specific, especially as you pointed out the importance of focusing on your breath instead of asanas to increase your energy.